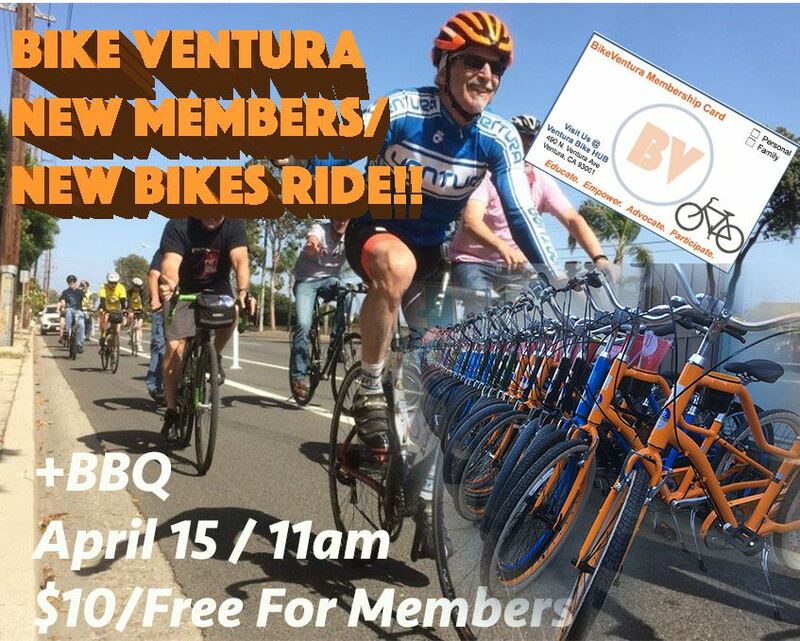 BikeVentura knows there's a lot of people out there with new bikes! And we've had over 40 new members join in 2018! So we're getting everyone together for a ride, photo-op, and a bbq! Whether you're coming from Ojai or the East End, we'll get you a route and designated start, then do a beach loop all together and take a picture, and then head to the HUB for food and refreshment provided by BikeVentura! This ride is free to BikeVentura members and Thomas Fire Victims, and $10 to anyone else that wants to ride along. Food is included! Ride From Ojai if you're coming from there or Meet at Kimball Park if you're coming from the East. We'll have ride leaders and designated meet up points set up along the routes for anyone who wants to jump in! The rides will start at 1pm, then we'll be at the HUB by 3, do the loop and photo, and then food at 4pm. We'll see you there!